This card might not “dazzle” like some others, but I’m thrilled with the technique I used to incorporate the black, gold and silver on this card. Black Trim. While the challenge called for black, I knew I didn’t want to have a lot of black on this Christmas card. I stamped my image in Tuxedo Black Memento ink and then bordered it with a very small border of Basic Black card stock. In all cases, black is just a supporting player in this card. Just as it should be. Gold Letters. I sought out this stamp set because it is designed with large, bold letters that allowed me to play around with my Gold Stampin’ Dazzle Marker. I was excited to share this markers because it debuts in the Holiday Catalog – EXCEPT that it actually debuted in the Annual Catalog (and I just missed it). The Holidays are a perfect time to pull out the markers, so I simply inked over the solid letters. Silver Embellishments. The silver rhinestones don’t show up very well in this picture, but they are there – and they are silver. I added 12 rhinestones in varying sizes to the emblem – a subtle introduction of the third mandatory color on this card. Thanks for stopping by today! 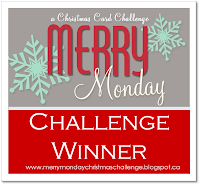 I hope you’ll pop over to the Merry Mondays Challenge to check out the other projects there. Product Shares and Designer Series Swatch Books. Woo hoo! 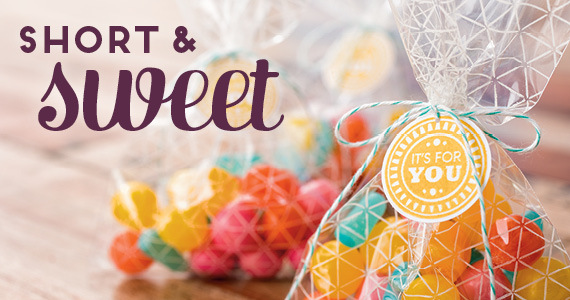 Tomorrow is the big day when I roll out the red carpet for my 2014 Holiday Catalog Product Shares. Yippee! “What’s a Product Share?” you might be asking. Well, I’ve got an answer for you. A while ago, I created a cartoon to explain product shares – see it here. This could be another winner Brian! Thanks for the tips on coloring over the lettering. I love how that turned out. 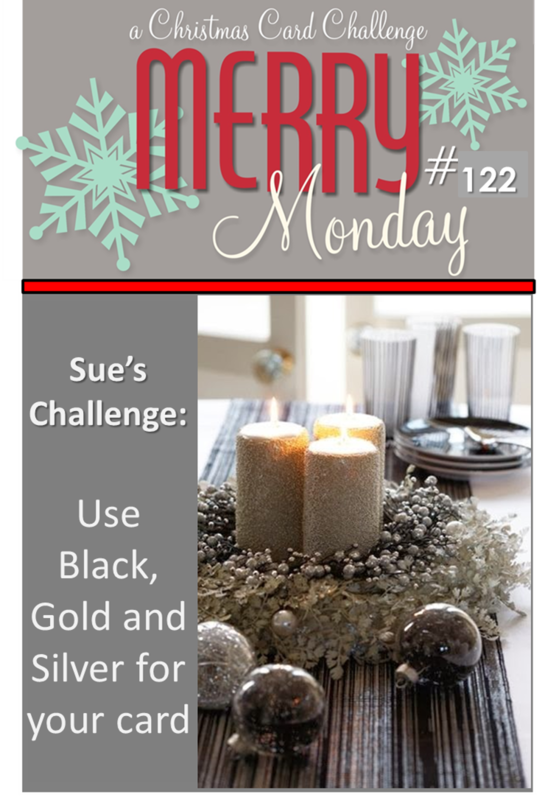 The subtle black and silver add a perfect blend for the color combination. I have to check out these challenges. They look so fun! Winner, Winner, Chicken Dinner! Beautiful card Brian! Another set I added to my next order. Love the card. Did you apply the gold directly on the paper over the stamped image or onto the stamp over the black? Thanks, Barbara. I stamped the image in black and then used the gold pen to color over the stamped words. Congrats on your win and your runner-ups! This card is soooo elegant. Your Pine Cone card was amazing and if it hadn’t won I would have had to spend time trying to figure out why. It was an amazing card in my opinion. As I read the challenge my thought was “well this should be dull and boring” but when I saw your card my thought was “only Brian could take this combo and make magic happen”. Elegant indeed and frankly what a fabulous combo for a sophisticated New Year’s Eve party. I just love it. Thanks for showing me that such a basic color combo need not be boring. Simply beautiful! I love it. Absolutely genius how you incorporated all the required components of this challenge. The card is stunning, there’s just something about the glitter of gold and silver. Great job Brian. Brian !!!! Your so good , love it , you inspire me !!! Really beautiful, Brian. Simple and oh so elegant. Your card is amazing Brian I like your clean lines and how you changed the bold letters to gold. Thanks for sharing at Merry Monday again this week. Talk about the WOW FACTOR…beautifully done! Brian, only you could take a simple request of colors, and turn it into such beauty! I would never have thought, in a million years….to use that gold pen over the black lettering. What a fantastic idea! This card is so elegant, I can see if being front and center on anyone’s table to show off it’s beauty. I love it! Yay for you on your well deserved wins ! I think they chose wisely ! Like this card and that is a great stamp ….just think of the possibilities . I have the gold marker and it is a good one to have for the holidays ! Sorry I am late posting …been waiting by the mailbox just in case my “goodie bag ” might show up . Hope the mailman didn`t eat my cookies !!!! Stunning! It should be sitting front and center at a black tie gala waiting on an award. And the winner is……HAPPY WINTER BY BRIAN KING! Another Merry Monday winner in the making I think Brian! Great card – love the way you used the rhinestones for the silver touch. Congrats again on your win last week. This card is super classy and elegant, Brian! Love that bold sentiment and the filigree brackets that frame it! Thanks for sharing with us at Merry Monday! Congratulations on your win Brian! I’m loving this card too – the silver over the lettering is so effective and overall a really elegant card! Thank you for the great ideas. Love how you used the colors, awesome card! Stunning CAS card Brian, Thank you for joining us for Merry Monday. Your cards are all amazing! This clean, simple card is absolutely stunning… I love it. I think I need to get this stamp and case your card :-). Beautiful and simple, like a little black dress with a couple simple accessories! Thanks for sharing this with us at Merry Monday this week! Beautiful! I love the gold on your lettering – stunning!!!!!! Thanks so much for playing with us at Merry Monday. It’s funny, from the photo you took, the shadow on the letters in the sentiment look silver, so I thought that was how you had incorporated the colour! Strange how the brain sees what it wants to sometimes, eh? !